The MADD Comox Valley chapter presented Kinetic with their first Corporate Citizen Award at the organizations AGM on June 4, 2018. Kinetic has had a presence in the Valley, building our community, since 2006. We made our first donation to MADD in December 2015 and have since donated a total of $14,410.00 to the organization. 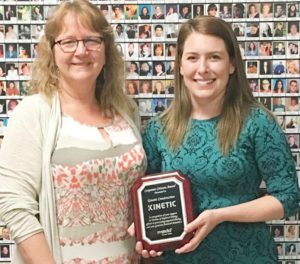 Giving back and doing our part to contribute to the communities around us is something that Kinetic and its employees put into practice. It is truly an honour to receive such an award from MADD Comox Valley and we look forward to continuing our support for the important work they do.